A few weeks ago I offered up some tips specifically for laptops. But maybe you've had more general mobile computing hassles. Ever run into a slow Wi-Fi network, regret buying a netbook, or wish you had more online storage? I can help! This week I'll tell you how to troubleshoot a hotspot, goose more speed from a netbook, and get 250MB of free storage with Dropbox. I'm a big fan of working at offsite locations--meaning my local Wi-Fi-equipped coffee shop. In fact, I'll often spend the afternoon hunkered down at Panera Bread, iced tea in one hand and a French Toast bagel in the other. (It's bad form to set up shop without buying something.) Today, however, Panera's Wi-Fi wasn't up to par. It took me several minutes just to get connected, and Web pages were agonizingly slow to load. This wasn't just excessive traffic; something was amiss. So-called expert that I am, I quickly ran through my troubleshooting checklist. First I disconnected and reconnected. No soap. Then I rebooted. Same result. That meant it probably wasn't a problem with Windows or my PC. So I pulled out my iPhone and tried connecting it to Panera's network. Aha! Deja vu: everything was slow, slow, slow. The culprit was obviously on the network side. I'm not an IT guy, so it's not like I can go in the back and start tinkering with the router. However, I am a customer, and that means I can complain. Well, not complain, but inform. I spotted the manager, told him the network was running really slowly, and asked if there was anything he could do. His answer was exactly what I hoped it would be: "I can reset the router." As I've mentioned in the past, the majority of Internet connectivity problems in the home can be resolved by power-cycling the modem and router. And the Wi-Fi network in a coffee shop or restaurant is usually no different from what you've got at home. So it stands to reason the same fix would apply. And sure enough, a few minutes later Panera's Wi-Fi network was humming along like usual. Why my fellow laptop users didn't hoist me on their shoulders and buy me bagels, I'm not sure. But at least we were all able to get back to work. The moral of the story: if you encounter flaky Wi-Fi at your favorite coffee hole, ask an employee to reset their gear. That might just be the fast and easy fix. I know a handful of people who suffer from netbook-buyer's remorse: they bought one of the inexpensive little machines, then stuck it in a closet when they discovered how sluggishly it ran Windows. If you're in the same boat, you might be able to give that system a new lease on life. Jolicloud is a free, Linux-powered operating system designed specifically for netbooks. It's fast (way faster than Windows), easy to use, and better optimized for cloud computing. The OS comes in two flavors. The first installs alongside Windows, creating a dual-boot configuration. That's great because it leaves your existing Windows installation alone, allowing you to return to it as needed (and uninstall Jolicloud as easily as uninstalling any piece of software). You can also load Jolicloud on a CD or flash drive, then boot from either one (keeping in mind that netbooks don't have CD drives). Unless you're a tech-savvy user, I recommend going with the Windows installer. Either way, Jolicloud is currently available only via BitTorrent. That might prove a hassle if you're not already familiar with it (in which case I recommend reading the BitTorrent beginner's guide). I'm not 100 percent sure I'll stick with Jolicloud, only because it still seems a bit buggy, but I like what I see so far. It's a lovely, simple operating system, one that can breathe new life into old or unloved netbooks. If you own one, this is definitely worth a look. Ever wish your PC had a "super folder," one that would automatically sync whatever you dragged into it with your phone, your other PCs, and the Web? That's Dropbox in a nutshell. 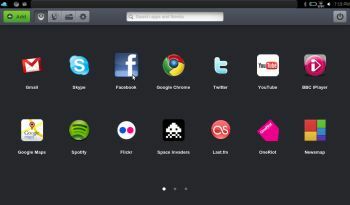 It's one of the Web's most popular services, and with good reason: it makes file and folder sharing ridiculously easy. A free Dropbox account nets you 2GB of storage space, which is great. Over at Lifehacker, though, there's a great tip on how to get a little more storage. 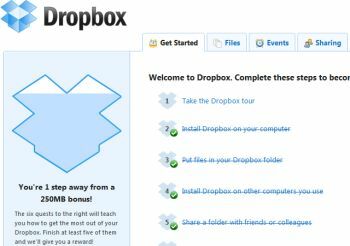 Just sign in to your Dropbox account on the Web, then click the Getting Started tab. Complete five of the six listed steps (some or all of which you may already have done) to earn an extra 250MB of storage. And that's it! If you've got a hassle that needs solving, send it my way. I can't promise a response, but I'll definitely read every e-mail I get--and do my best to address at least some of them in the PCWorld Hassle-Free PC blog . My 411: hasslefree@pcworld.com. You can also sign up to have the Hassle-Free PC newsletter e-mailed to you each week.